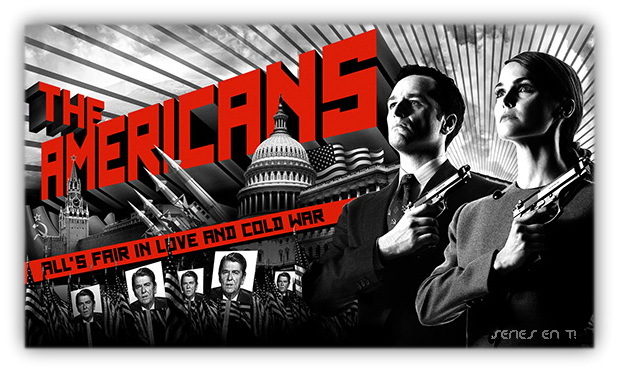 I’m now into a slightly extended binge viewing of Season 1 of “The Americans,” an FX drama series featuring Keri Russell and Matthew Rhys as a Soviet couple operating as deep cover spies in Washington D.C. during the early 1980s, the decade leading to the end of the Cold War. It’s a great series, and a vivid reminder of U.S.-Soviet tensions of the era. But irrespective of its dramatic quality, I was won over by the opening scene, a bar in which Quarterflash’s “Harden My Heart” is playing in the background. Yeah, it pushed my Eighties nostalgia buttons, and I was hooked. If you’ve followed my posts here, you know that I get nostalgic even for historical eras I am too young to have experienced. But the Eighties are very much my time, and I regard the decade fondly. Okay, so it may not have been the best years for America. This was the decade of trickle-down economics, “greed is good” (a philosophy popularized by financier Ivan Boesky, who landed in prison for overdoing what he preached), the emergence of the Middle East as a dominant hot spot, and a lot of political corruption. Many of the challenges we face today have their roots in those years. Personally, however, I think of the Eighties as a comparatively innocent, wide-eyed time of my life. It covered the heart of my 20s, starting with my last year of college at Valparaiso University, then through law school at NYU, and finally post-law school life and work in New York City. Though I was barely masquerading as an adult during that time, I experienced a lot of growth and memorable times during the decade. Moving to New York was a big deal, for I was a pretty sheltered Midwesterner. (To clarify, not all Midwesterners are sheltered, but I sure was.) I fell for New York completely, and during those years it was possible to explore the city on a tight budget. To be young and broke in New York wasn’t a terrible thing back then; there was a sort of gritty romance about making it on a shoestring. Anyway, back to the “The Americans”: Season 1 opens in 1981, right after the inauguration of Ronald Reagan. A few episodes into the series, we see American and Soviet intelligence operatives scrambling madly to respond to the March assassination attempt on the President. Although the would-be assassin, John Hinckley, turned out to be a mentally ill man whose actions had nothing to do with Cold War politics, neither side knew that in the immediate aftermath of the shootings. I recall that time well. We all lived under the nuclear threat. It was part of our existence. Yesterday it was about the Cold War, the nukes, and the Soviets. Today it’s about terrorism, airport security, and Al-Qaeda. And the economy and jobs, always. The beat goes on. I agree – great show? So did you discover it on your own? Or did a friend with an excellent sense of taste recommend it to you? Surely it could not have been the latter or you would have referenced said friend…..
Yeah, yeah Don, I hereby give you Full Credit for tipping me off on that show! By the way, I had a fun dinner with the Heisers last night here in Jamaica Plain. They were making East Coast college visits.